The Aberdeen to Kirkwall route connects Aberdeen in northeast Scotland to Kirkwall, the capital of the Orkney Islands. The ferry route is operated by Northlink Ferries. There are up to 4 crossings per week and the crossing time is approximately 6 hours. The distance from Aberdeen to Kirkwall is about 174 miles (about 280 km). This route accepts foot passengers and all vehicle types. Pets can also be booked on this route. With AFerry we always give you our best prices for ferries from Aberdeen to Kirkwall. No matter which page you book from we always include all our special offers. And there is no need to look for a discount code. If we have an offer available, your ferry price will include the reduction or offer. There's no need to look at other websites. 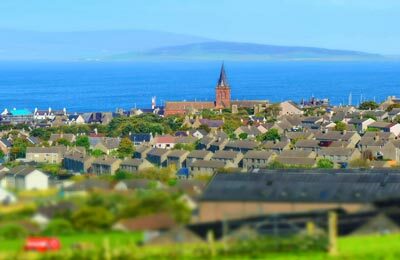 If you're not sure if the Aberdeen to Kirkwall route is right for you or you can't decide between ferry companies, if there is more than one, you might also find it useful to read any reviews we have available. We ask all our customers to send us reviews for Aberdeen to Kirkwall ferries. Remember though, that the earlier you book, the cheaper prices normally are. So don't spend too long deciding! 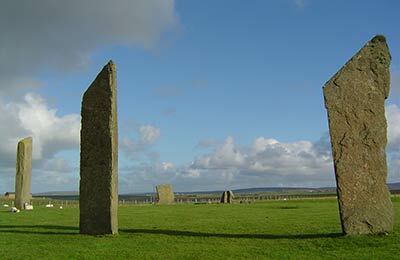 Aberdeen to Kirkwall is a popular route, so we advise you to book as soon as possible.